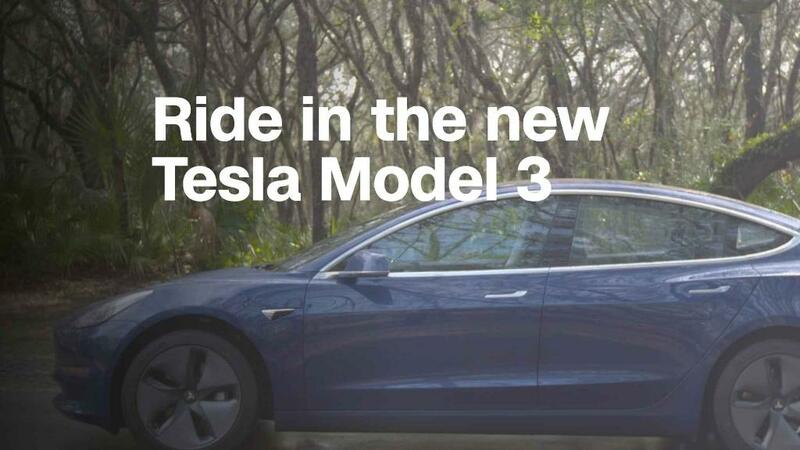 The Tesla Model 3, with its starting price of $35,000, was supposed to be the car that brought electric driving to the masses. But that's not happening yet. In fact, Tesla (TSLA) has yet to sell a single Model 3 at that base $35,000 price. 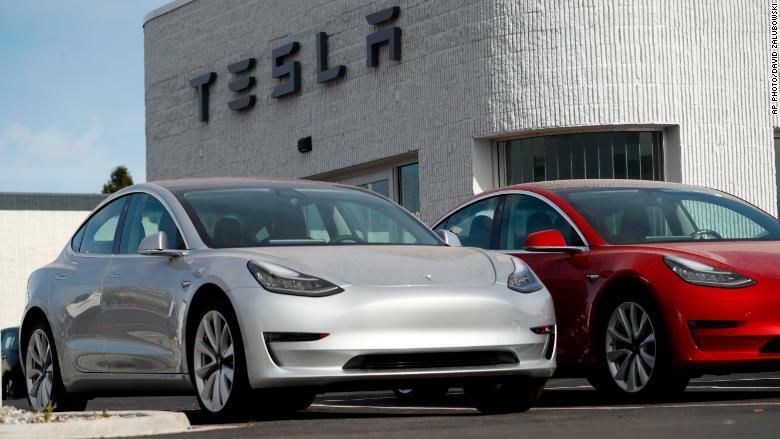 There are customers who want those cars, but they'll have to wait while Tesla makes higher-priced versions, costing $50,000 to $60,000, first. And just last weekend, CEO Elon Musk announced a special high performance version of the Model 3 that will cost $78,000. Musk tweeted this weekend about why he is in no rush to produce the less expensive Model 3. "Shipping [minimum] cost Model 3 right away [would] cause Tesla to lose money & die," Musk said in a Tweet on Sunday. Tesla has long been open about the fact that the base-price Model 3 cars are a lower priority as the company works gets its production line running at full capacity. Currently, Tesla's ordering web site indicates that the less expensive cars with the the smaller battery packs won't be delivered until the end of this year. So anyone who wants just the basic Model 3 with the advertised $35,000 have to wait. Prices for the Model 3 rise quickly as features are added. Any paint color other than black, for instance, adds $1,000. Sporty wheels are another $1,500. "Enhanced Autopilot," a feature Tesla uses as a major selling point, is another $5,000. Based on its pricing, the Tesla Model 3 is a luxury car, not a mass-market product. With every available option added, the total price for one of the longer-range, premium Model 3's hits about $60,000. That doesn't include all-wheel-drive, which isn't available yet. That's very similar to prices for the BMW 3-series and Mercedes-Benz C-class, which both start in the mid-$30,000 to $40,000 range and can go as high as $66,000. That's considerably less than the performance $78,000 Model 3. Currently, Tesla (TSLA) buyers get a $7,500 electric car tax credit. But that credit begins to phase out for each of the automakers after they sell their first 200,000 electric car. For Tesla buyers it could start to phase out some time this year, depending on how quickly the automaker can deliver cars. Of course, being a luxury brand isn't actually a bad thing. Luxury cars are prestigious and more profitable than mass market products. That's why General Motors (GM), Ford (F) and Fiat Chrysler Automobiles (FIADF) are working so hard to breathe life into Cadillac, Lincoln and Alfa Romeo, respectively. And until Tesla starts selling cars that the masses truly can afford, it should be categorized right along with those brands, firmly in the "luxury" camp.